1 What is Bitty Schram from “Monk” doing now? 2 What is Bitty Schram Doing Now? 7 Do You Know About Bitty’s Personal Life, Affairs, Dating, Husband, Marriage? What is Bitty Schram from “Monk” doing now? Born Elizabeth Natalie Schram on the 17th July 1968 in Mountainside, New Jersey USA, ‘Bitty’ is a Golden Globe Award-nominated actress, probably best known to the world as Sharona Fleming in the TV comedy-drama series “Monk” (2002-2009), and also as RF Evelyn Gardner in the film “A League of Their Own” back in 1992. Bitty left “Monk” halfway through its third season, and since hasn’t been much involved in the entertainment industry. Apart from a guest-starring role in the last season of the series, Bitty has apparently had only one role, as Officer Lori in the adventure comedy-drama film “Moments of Clarity” in 2016. Since then, she has remained away from the public scene, living a peaceful life away from the camera. 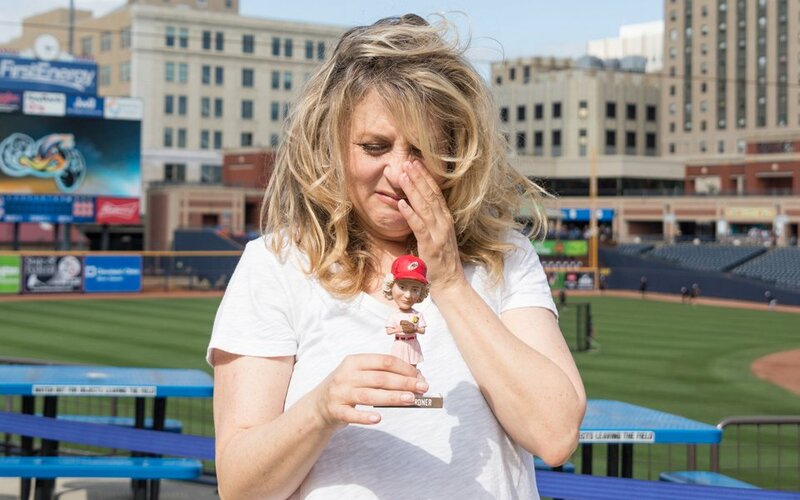 However, she did make a single public appearance at Cleveland Ballpark in June 2018, a promotion at the Akron’s baseball stadium with the theme “A League of their Own”. Bitty had a rather tough childhood; her parents divorced when she was ten, and the second oldest of four children, with her siblings she faced joint custody and frequent moves from one place to another. Luckily, she managed to overcome those problems and come out stronger than ever, and after successful completion of high school, she enrolled at the University of Maryland, from which she obtained a degree in advertising. However, she soon realized that the corporate world wasn’t for her, and she started pursuing her passion – acting. Bitty’s career started in 1992 with a minor role in the thriller film “Fathers & Sons”, while later the same year she was chosen for the part of RF Evelyn Gardner in the comedy-drama film “A League of their Own”, and became quite well-known for the sentence spoken to her by Tom Hanks’ character, “There’s no crying in baseball”. She continued rather successfully throughout the ‘90s, appearing in several noted films such as “The Night We Never Met”, with Matthew Broderick, Jeanne Tripplehorn and Annabella Sciorra, then the thriller drama “Caught” in 1996, and the Academy Award-nominated romantic comedy-drama film “One Fine Day”, starring George Clooney and Michelle Pfeiffer, among others which helped her gain a name for herself in the entertainment industry. With the start of the 2000s, Bitty was becoming more popular, and in 2002 that her hard work paid off, as she was chosen for the part of Sharona Fleming in the TV comedy-drama series “Monk”. She remained on the show only until its third season, becoming something of a celebrity. In 2004 it was announced that Bitty wouldn’t return for the second half of the third season, as the screenwriters and production had decided to focus on a new direction for the series. She didn’t make a big fuss about her character being written out of the series, but focused on other projects. She did return for one episode in the last season of “Monk”. She continued her career with a couple of minor roles, in the drama film “The Sure Hand of God” in 2004, while in 2006 she appeared in the comedy-drama “A-List”. She took a break from acting until 2009 and her re-appearance in “Monk”, and then again until 2016 and the role of Officer Lori in the adventure comedy-drama film “Moments of Clarity”, with Kristin Wallace, Lyndsy Fonseca and Mackenzie Astin. Although no longer very active, Bitty has earned a fair amount of money from her acting engagements, especially “Monk” and “A League of their Own”, among others. So, have you ever wondered how rich Bitty Schram is, as of mid- 2018? According to authoritative sources, it has been estimated that Schram’s net worth is as high as $2.5 million, pretty decent don’t you think? Do You Know About Bitty’s Personal Life, Affairs, Dating, Husband, Marriage? When it comes to her personal life, Bitty hasn’t revealed much about her private affairs, as she likes to keep them hidden, including her romantic life, and if she has any children or not. It is known that she enjoys reading, and experimenting with a variety of foods. Bitty hasn’t been fond of social media networks, though she has an active Facebook page, with just over 1,500 followers, but which hasn’t been updates since March 2017; she isn’t active on Instagram or Twitter. Hopefully, she changes her secretive nature in the future, and starts sharing some intimate details with her fans.